Need a filler that ties into your curriculum? How about American history, government or patriotic holidays? 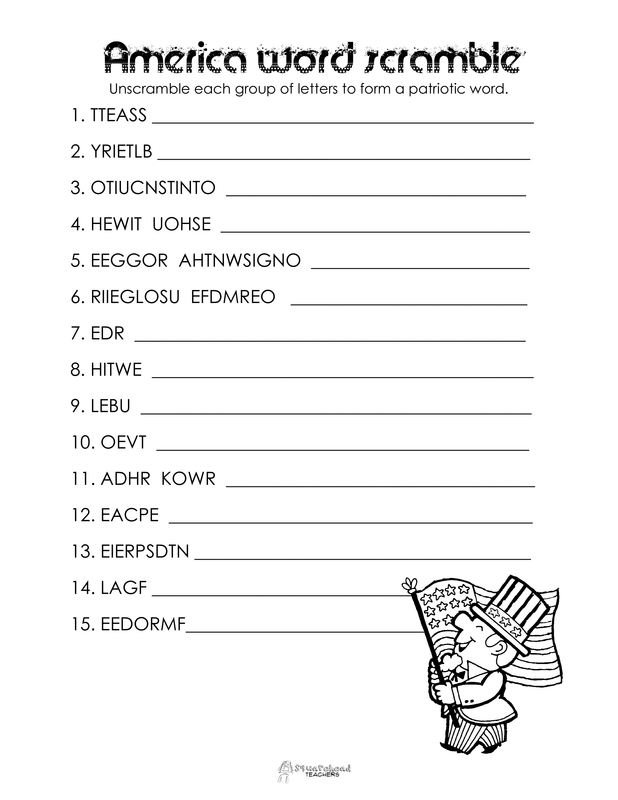 Here’s another word scramble that’s sure to keep your students busy for a while. Enjoy! Right click, choose “save image as” to save this worksheet to your computer so you can resize it later (half sheet, full sheet, etc.). This entry was posted in Holidays/Seasons, Social Studies and tagged Children, Education, Elementary School, Kids, Teacher Resources, Teachers, Teaching, word scramble by Squarehead Teachers. Bookmark the permalink.